From the Southernmost point of Vietnam to the border with China in the north the country spans over one thousand miles. The geography varies widely, from the flat Mekong Delta to the mountains of the north, from the coastline and arid regions to the jungles of the Central Highlands. Because Vietnam is so diverse, the weather can be dramatically different in two areas of the country at the same time of year. Like other Southeast Asian countries, Vietnam’s weather is heavily influenced by two monsoons. The northeast monsoon predominates from October to April. In northern Vietnam it can get downright cold during this period, with snow possible in the mountains, and all areas north of Hoi An can be relatively cool. This monsoon also brings wet weather to the northern half of the country. In the south, the northeast monsoon brings the dry season, which can be scorching hot towards April. Most tourists visit Vietnam from November to February, when there’s not much rain and the weather in the south is not so hot. However, if you’re going to be spending the majority of your time in the north and would rather it not be cold you might be better off between May and September. The southwestern monsoon brings warm and humid weather to the majority of the country from late April to late September. In the southern half of the country there are often short but strong daily downpours during this time. From July to September Vietnam is vulnerable to typhoons and flooding from heavy rain. The months of October through January are likely best if you’ll be traveling the length of the country. April through July are nice times in the north, and May through July can also be great in the south if you don’t mind the cooling afternoon showers. Although there are ideal times for different areas of Vietnam, with the right clothing you’ll enjoy your trip at any time of year! Hanoi is the capital city of Vietnam, situated in the north of the country and the second largest city, after Ho Chi Minh City. Hanoi has been the capital of the North Vietnam for over 1,000 years and was the former capital of French Indochina and later North Vietnam prior to reunification in 1976. There are many intriguing sights and things to do in Hanoi. Hanoi sits on the banks of the Red River, which gives the city a cooler and more temperate climate than South Vietnam. With a population of over 6 million people, the city can feel crowded, although the wide tree-lined Colonial Boulevard in central Hanoi’s Old Quarter offers a welcome respite from the jostling crowds. 1. 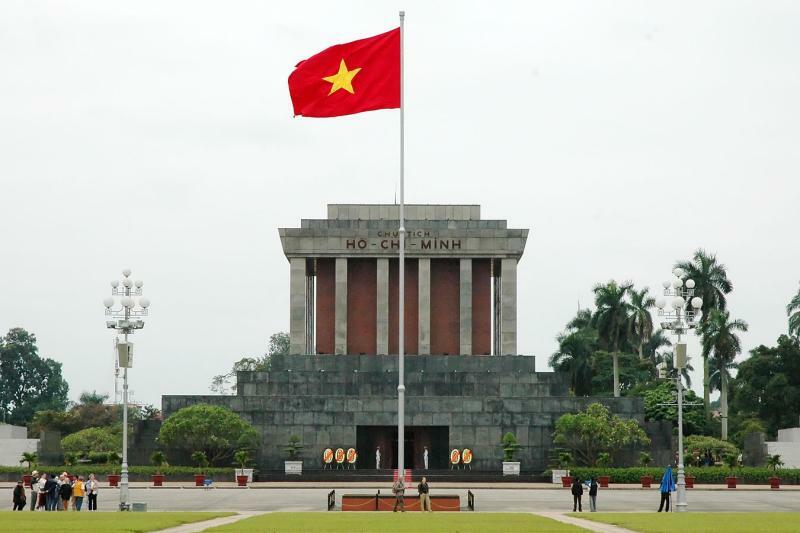 Ho Chi Minh Mausoleum – The mausoleum opened in 1975 in honor of the national hero, Ho Chi Minh who lies embalmed within the building. He actually asked for a cremation and is instead housed within a Soviet-style mausoleum which is open to the public with free admission. Be prepared to queue quietly, go through security scanners and leave any fruit behind. You can also watching a changing of the guard routine which is carried out wordlessly. 2. 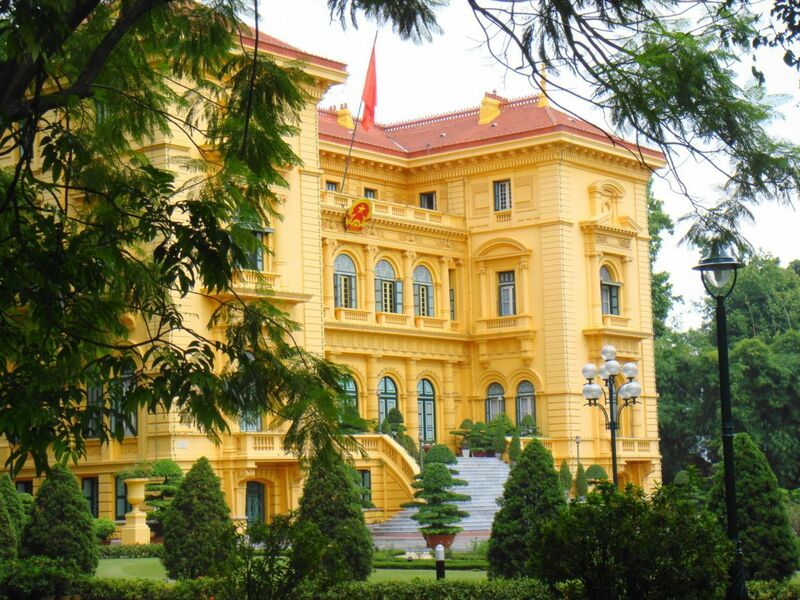 Presidential Palace – The former residence of the French Governor General, Designed in the Italian Renaissance style, the site also displays the former residence of ‘Uncle Ho’, or Ho-Chi-Minh, the former leader and father to all Vietnamese citizens. 3. 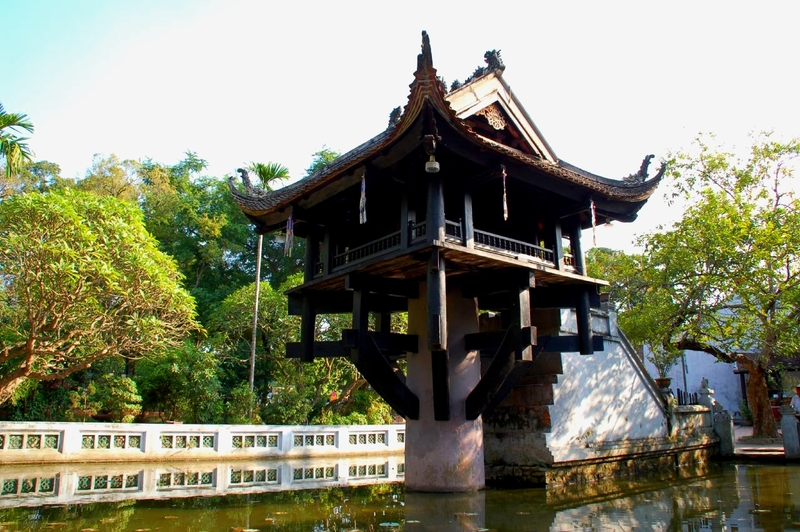 One Pillar Pagoda – A historic Buddhist temple which is regarded as one of Vietnam’s most iconic. As the name suggests it is a small timber temple perched on a single stone pillar and was commissioned in 1049 by the Emperor Lý Thái Tông. 4. Temple of Literature – The Temple of Literature site of one of Vietnam’s oldest Universities and dates back to circa 1070. 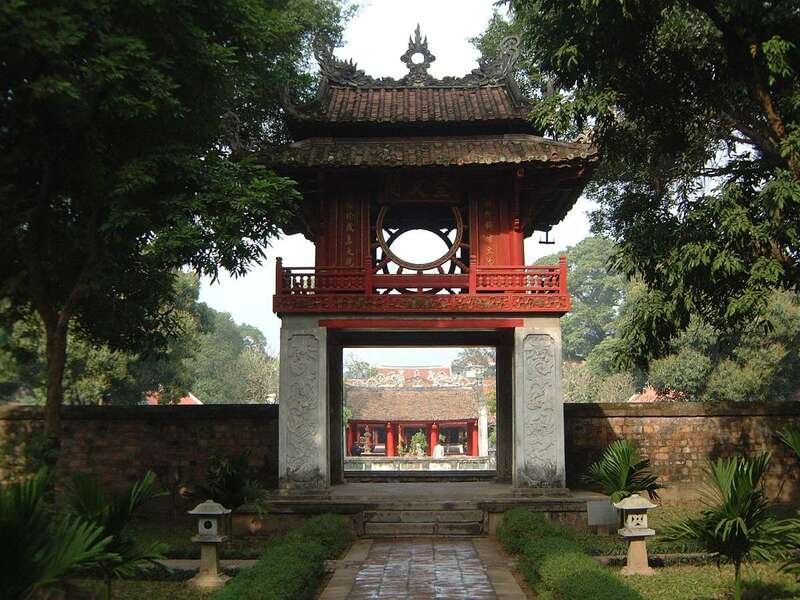 Just one of the many things to do in Hanoi, this is now a Confucian Temple, one of many in the country but easily the most famous of all and is considered to be one of Hanoi’s finest historical sites. 5. 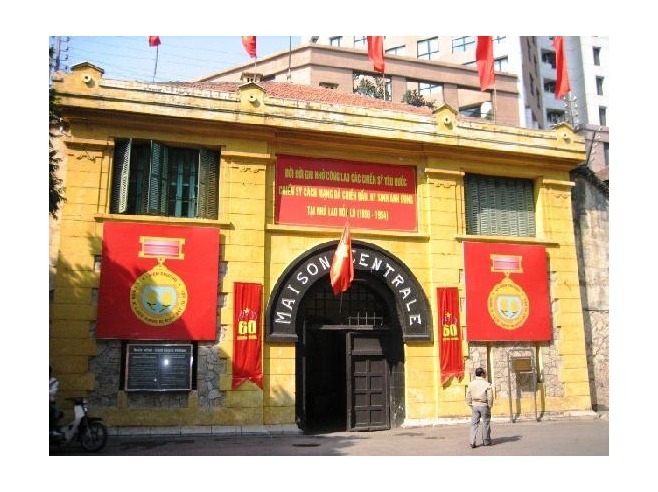 Hanoi Hilton – No, not another hotel chain, but the ironic name given to the Hoa Lo Prison used by its most famous former residents, namely American Prisoners of war, including the Senator and 2008 Republican presidential nominee John McCain, who spent parts of his five and a half years as a POW there. The site however dates back to the French colonial period (1886) and depicts much of its dark history in the remaining old buildings. 6. Ethnology Museum – It contains more than 10,000 objects, 15,000 black and white photos and hundreds of video tapes and cassettes which depict all aspects of life, activities, customs, and habits of the 54 ethnic groups of Vietnam. All displayed objects mingle and supplement one another to create a colourful and diversified picture of Vietnamese culture. 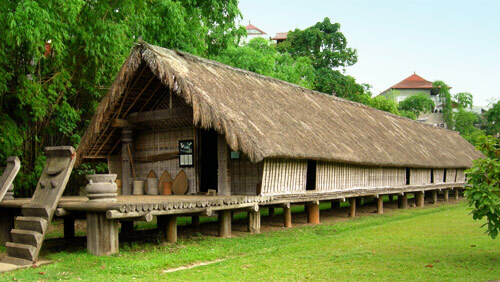 An open-air exhibition in the museum’s spacious and peaceful ground features ethnic houses from all over Vietnam. 7. 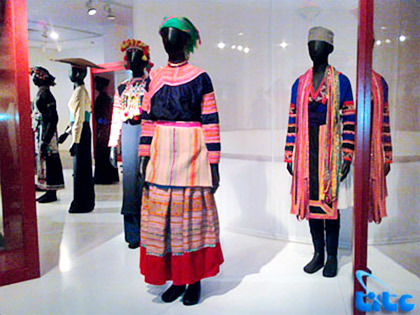 Vietnam Women’s Museum – The museum displays rather recent history of women, such as women and ethnicity; women and the national struggle; Vietnam women association and the feminism; women and traditional costumes; and women’s cultural traits expressed through handicrafts. How to take bus in Vietnam?